We are the respected Manufacturer, Exporter and Supplier of durable Metal Base Open Spring Mount. 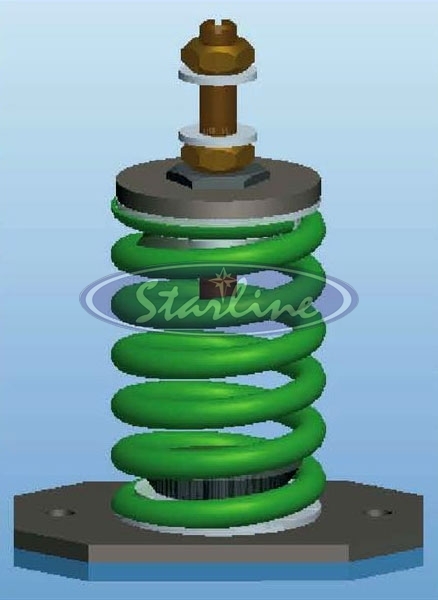 Our Metal Base Open Spring Mount helps to isolate vibration from rotation and reciprocating machines. It is widely applied in air handling units, axial and centrifugal fans, ductwork, pipe work, condensing units, pump units, chillers, genset, etc. 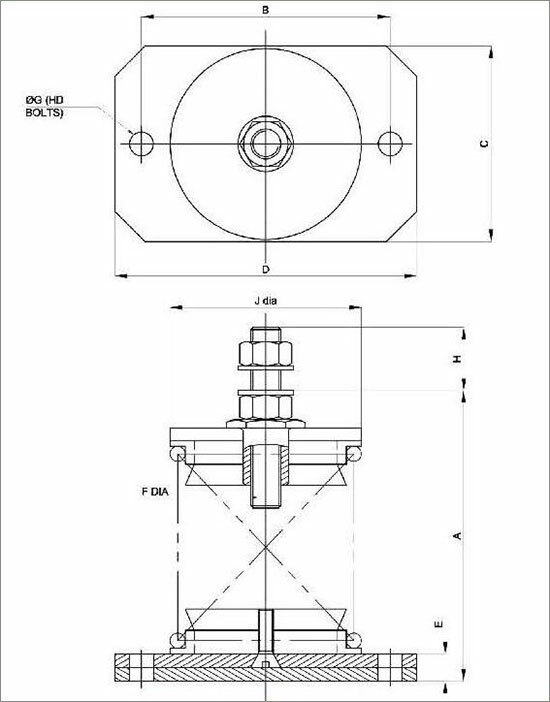 Metal Base Open Spring Mount is provided along with upper load plate and leveling assembly for accurate leveling. 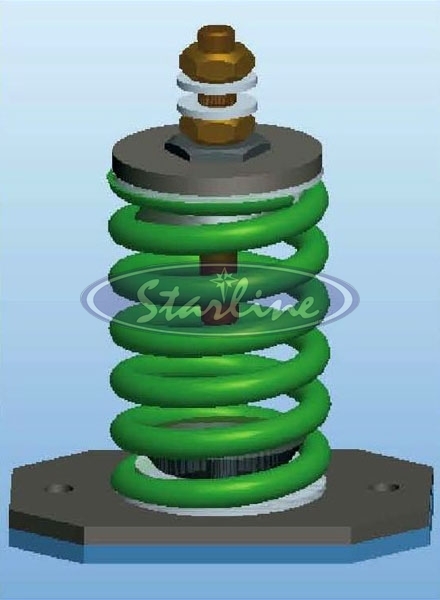 Laterally Stable springs are designed to prevent spring buckling and capable of 50% overloading capacity. 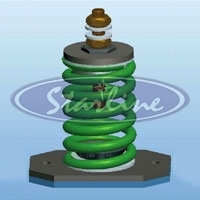 Springs and casing are powder coated with 100 hours of salt spray test conforming to Astm b-117. 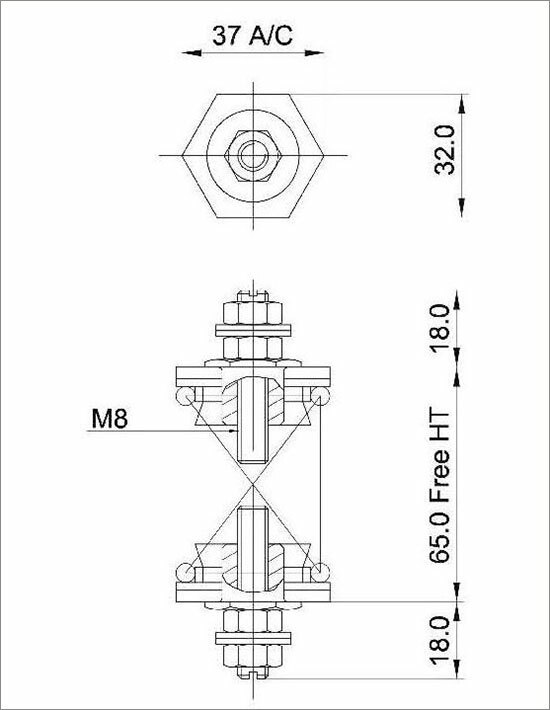 Upper load plate and leveling assembly are provided for accurate leveling. 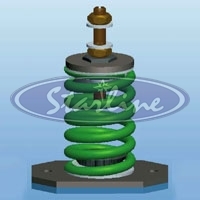 In heavier capacities, springs are welded to load plate with neoprene pad. Standard product range offers upto 2" deflection with optional custom made isolators of higher deflection. Thick ribbed neoprene pads are provided below load plate noise isolation and non skid. Colour Coded coated springs for easy identification of load. Selection / Ordering : Static Load. 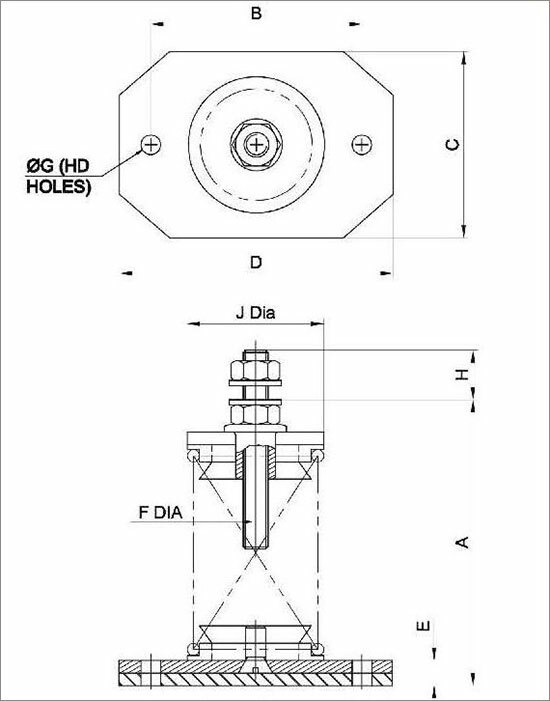 15mm Defl. 25mm Defl. 50mm Defl. Note : The above figures are theoretical values only based on the vertical natural frequency of the spring system assuming in infinitely stiff structural supports. 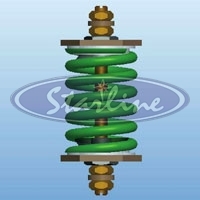 The effects of high frequency spring coil resonances on low frequency performance are also ignored. 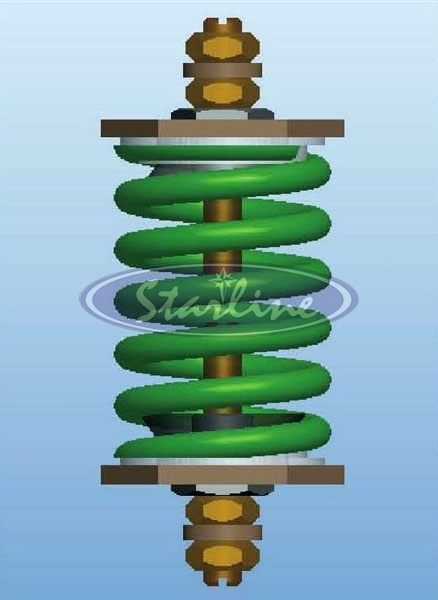 Note : Internal Nested Spring spring stiffness is linear over its working range.